Welcome to my daycare advice page. Many times new providers are not aware of exactly what they are getting into when starting a day care program in their home. So, as someone who has been a long time provider and assisted other new providers with their businesses, I’d like to offer my own daycare advice and tips for those just starting out. We all know what babysitters are like. Most babysitters (at least the rare ones I hired) will drink your soda, eat all the potato chips and talk on the phone while "watching" your children sleep. Daycare Providers are not in the same category. Your daycare children will be spending a good portion of their day in your home. You will be expected to provide nutritious meals and activities. You will become, in the absence of their parents, their main emotional support. They need a nurturing provider who will give them plenty of affection. You are not caring for children so they can be plopped down in front of the TV watching endless reruns of cartoons. Children need time to run and play, explore, use their imaginations, and learn new skills in a child friendly environment. If helping children grow, both in mind and body, seems like a lot of work to you.. well, my advice.. perhaps you need to consider another profession. I just wanted to thank you so much for making such a wonderful site. You truly have helped me in so many ways with ideas on how to make a great daycare. I am in the process of getting licensed right now and really have been blown away at the things I never thought about that your site has helped me see. Thanks! You will have more problems with the parents than with the children. Oh, I don’t mean all parents, just a few.. but enough to cause you some real grief. You will also have superb parents. The great ones are absolutely priceless. You will not, however, need any special daycare advice to deal with them. You will simply be grateful that you have them. So, back to the troublesome parents. How can you make things easier on yourself? Contract. Contract. Contract. Policy Handbook. Policy Handbook. Policy Handbook. Let me explain. The clearer both your contract and policy handbook are in the beginning, the less problems you are likely to have. This is probably the single most important piece of daycare advice you'll receive. Have every parent sign both the contract and the policy handbook. Everyone means exactly that. Everyone. This includes your best friend, next door neighbor, cousin, and anyone else you are providing care for. The very people you know extremely well before providing child care may turn out to be the very people who take advantage of your services, or who will feel that the rules do not apply to them. Ask any provider you know, and they'll tell you it's true. Set yourself up as a professional from the very beginning. I advise you to make your policy handbook extremely detailed so there is no room for misunderstandings later on. It’s easier to make everything clear from the onset, than to have to go back later and change or add items. It can be done, although not necessarily without a hassle. Also, I'd advise you to not shortchange yourself when setting your rates or including time off. This is daycare advice you should pay attention to. This is your business and you are the boss. Whether you are a new or long time provider, you deserve to be paid a fair price and have time off. Make sure to go over the contract and policy handbook during the initial interview. As far as daycare advice goes, this one is big. Once you have a signed contract and policy handbook, stick to it. Always. Letting a parent slide “just one time” will make the rules that much harder to enforce the next time. During the interview process, make sure the child is in attendance. Watch carefully and ask questions to see if the child would be a good “fit” for your program. Never accept a child you feel will not be. Realize that during the interview process, you are interviewing the family as much as they are interviewing you. Admittedly, sometimes an evening interview does not truly show you what the child will be like once in your care. I got fooled once by a child who was well behaved during the interview process and a terror like nothing I had ever seen once I had him full time. The parents were well aware of his behavior but chose not to mention it during the interview. That’s why I would strongly advise a two week trial period in your contract. Notice that ALL is capitalized? That’s because I really mean it. Anytime you are given a receipt, file it. Even if you think it has nothing whatsoever to do with child care. I’m a good record keeper by nature, but several years ago my income taxes were audited. Oh my goodness, they asked for receipts for everything. Even items that had nothing what-so-ever to do with daycare. I can’t stress this enough. You may never need to produce receipts like I was, but if you keep all receipts from the very beginning, you’ll never have to worry about it either. My audit, by the way, was finished in record time with no problems whatsoever. My daycare advice also includes injuries of any kind. Make sure you have written documentation of every bump, bruise, skinned knee, etc., regardless of how minor it seems at the time. Exactly when and how it happened. Make sure parents are notified the same day, and have them sign a copy of the injury report form for your records. Although the injury report form is good for notifying parents, it actually protects you should an injury turn out to be worse than originally suspected. I strongly advise that you use it. For every injury. There are several to choose from. Do your homework prior to making a choice. Each one offers benefits above and beyond reimbursing you for meals served. It’s also better to get a monthly check than to be able to claim the 100% deduction for food at the end of the year. This is great daycare advice I wish I hadn't learned the hard way. If you happen across a deal on something you can use in your day care, buy more than you will need right now. Consider planning in advance for expansion. Buy sets of items in one color only. This includes everything from cots/nap mats to drinking cups. This way, as you add children to your daycare, you will avoid the “I want that one” meltdown some kids are famous for. Plus, there’s the added advantage of getting it all for a better price. 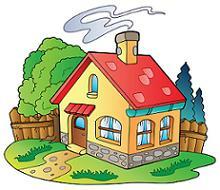 When you are inspected, your home must be clean and child safe. This includes no dirty dishes in the sink, regardless of how neatly they are stacked. Wastebaskets should never be seen. All safety equipment should be in good working order (don’t forget about replacing batteries in flashlights, detectors, etc. on a regular basis). Trust me, not only will all inspections go smoother, but day care parents DO notice if your home is untidy. This is especially important when a new child is entering your daycare. Parents who hover and try to quiet a crying child are only making things worse. Assure them that the crying normally stops in a short amount of time. For parents whose child is accustomed to your home, but wants to stand around and chat, the same rule should apply. You are a professional with a job to do, and are available after hours for any concerns that they may have. While you are busy taking care of others, do not forget about you. All the daycare advice in the world won't help if you don't follow this one. Above and beyond taking the days off you deserve, make sure you eat a healthy diet, and get enough sleep. Home daycare is both physically and emotionally demanding. It will be absolutely draining if you are not taking care of yourself. While daycare advice covers a variety of areas... what is my best advice? Use common sense in every area of daycare. Take things one step at a time, and do not commit to more than you can handle. For more helpful hints, keep peeking around the DAYCARE TIPS area. Need DAYCARE FORMS ? The daycare forms area has a list of free forms available for immediate printing. Check out the FREE PRINTABLES section to make planning daycare activities incredibly simple.